Freelance writers, PR writers, and freelance journalists may be called on to provide various press materials. One of these pieces, the press advisory, functions as a way to drum up interest in something and may be assigned by a client about to hold an event or launch a new endeavor. 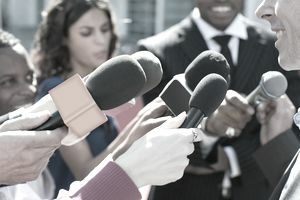 After the event or press conference has taken place, a client will then commonly need a press release, which summarizes the event, again, in an attempt to garner publicity. Following is a sample press advisory for freelancers who want to provide their client with the best work, and want to pique the interest of the press at the same time. Use your client's letterhead or header design. ADVISORY. After the client's letterhead/header, the fact that this document is an ADVISORY should be the most apparent part of the document. Journalists are busy people, and event advisories tend to require some planning. Make sure your target sees it early by writing ADVISORY at the very top. FOR IMMEDIATE RELEASE: March 19, 20XX (the current date, NOT the date of the event). [Detroit, MI] (use the location of the event within brackets- not your location!- The XYZ NonProfit will host a free tax help workshop that can help those facing back taxes and collectors. (The first paragraph should be short and provide the main idea/summary all in one or two lines. (Begin providing background) Last year, the IRS made changes that allow for more aggressive collections and higher penalties for those who owe back taxes. However, nonprofits and community groups have been given the resources to help those in arrears to come up to date before those new policies take place. Want to see if you qualify? (Moving on to the details now) The clinic will cover who is eligible, how to apply for reduced fees, and what the benefits and risks might be. A list of suggested documents to bring can be found at the event page at Sample URL. Accountants and tax lawyers will also be on hand to provide free advice to community members, and pertinent explanations to press corps. (We hope that this part entices the journalist by showing him that we will make his job as easier as possible). There you have it- a primer on both the content and the format of a press advisory- one of the most-often commissioned pieces for those who do PR or journalism freelancing.